Occasionally a claim is made by Afrocentric thinkers that Socrates is black. 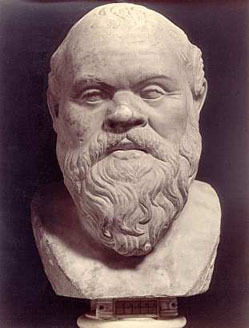 Absolutely no evidence exists that Socrates had anything other than local Athenian ancestry. In addition to the lack of basis, the mere fact that such a prominent figure was not subject to lampooning by his contemporaries due to his ancestry (which he would be, had he African ancestors) is most telling. For an extended discussion on this particular revisionism, see Mary Lefkowitz, Not Out of Africa: How Afrocentrism Became an Excuse to Teach Myth as History (1997), pages 26-30.